The bio of Dr. William Andrew | Launceston Then! William was born on April 7th, 1849, to John and Harriet Andrew at Trevoyan, St. Merryn. His father was a farmer, farming 288 acres and employing 12 men. William studied medicine and on qualifying as M.B.C.M at Edinburgh, he came to Launceston to practice setting up home and his surgery in Castle Street. In the 1870’s he was elected to be a member of Launceston Borough Council, a role that he served for 33 years. 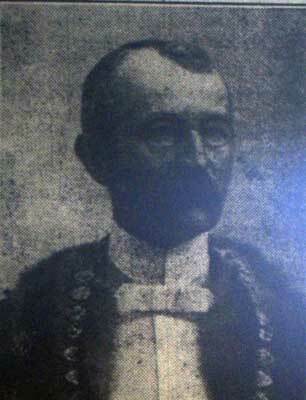 He was mayor in 1886 and again in 1901. He was made a Justice of the Peace for Launceston in July of 1890. He retired from his work and returned to live with his sister at Glencoe, St. Eval where he died on January 25th, 1911. In his will he left effects of 4,816 pounds 25s, 1d to Charlotte Andrew, spinster.